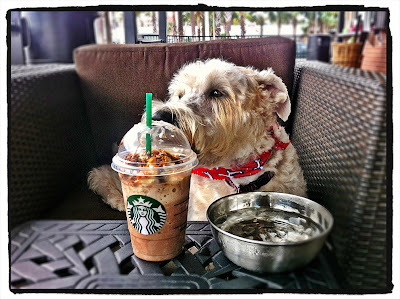 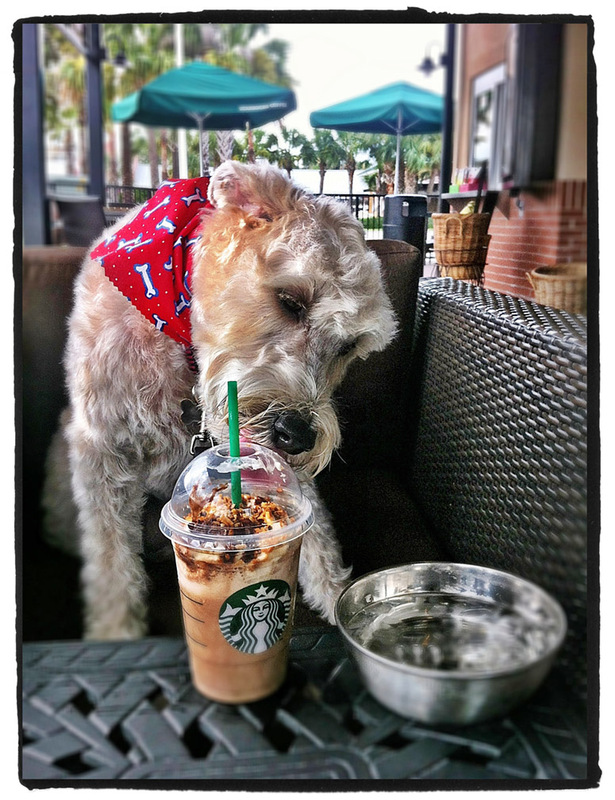 After her day of beauty at Deborah's Dog Styles, Stella had some more pampering at Starbucks in Neptune Beach. 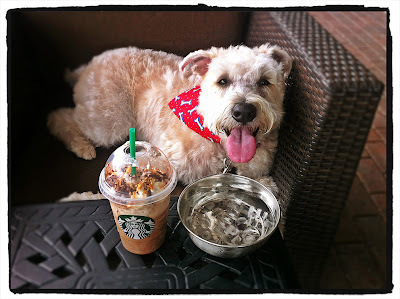 It looks like I'll be drinking from the water bowl this time! Well if you must know, I smeared some whipped cream on the outside of the lid so I could get a good pic. She is such a happy pup!